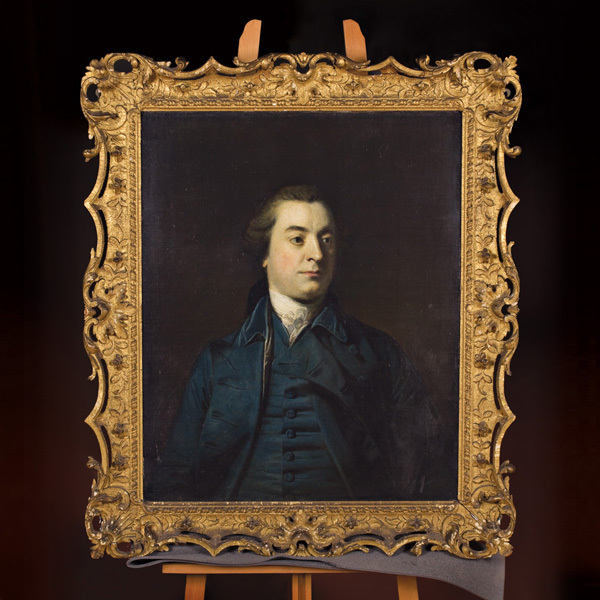 This is the portrait of Isabella Thorold’s soon to be husband, Thomas Middleton-Trollope; ‘In a blue suit with matching cloth-covered buttons and a blue velvet collar; his brown hair unpowdered’. There are appointments with Mr Middleton-Trollope on 19 March (twelve thirty), 26 March (time illegible), and 28 March (at ten). There is probably a cancelled appointment on 4 April (at eleven). Oil on Canvas, a portrait of Thomas Middleton Trollope of Caswick House near Sleaford. | Size: 75x62cms | UG Ref: LCNUG 2008/20 Purchased by the Heslam Trust, The Art Fund, Friends of Lincoln Museums and Galleries and The Usher Trust, 2000.